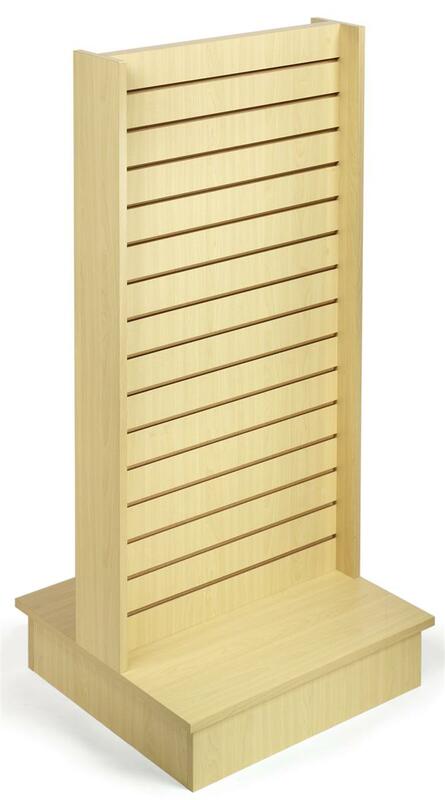 This 2 Side Freestanding Rtail Slatwall Systems Wooden Slat Wall Shelving is a MDF laminate retail fixture that is ideal for use in high traffic environments. 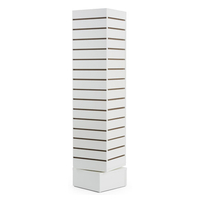 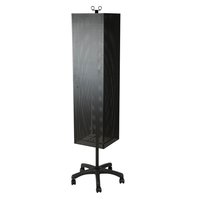 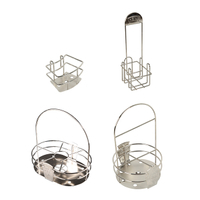 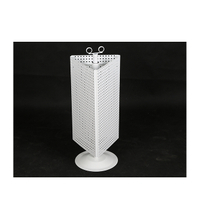 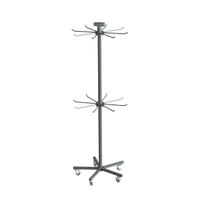 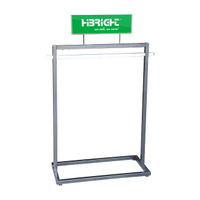 Each 2-sided tombstone design retail fixture stands 54" tall and comes with 30 3" on center channels for standard slat wall hooks, shelves, brackets or signage. 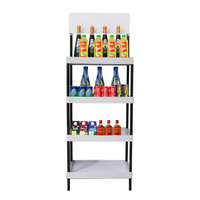 This slat shelving system is a superior choice for showcasing clothing, accessories, hard and soft goods, and specialty items. 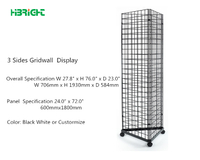 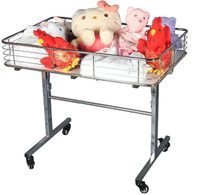 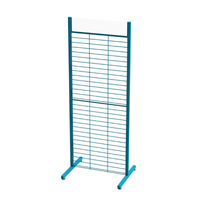 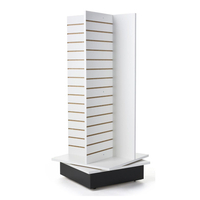 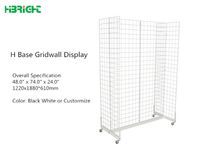 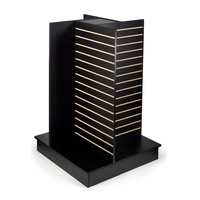 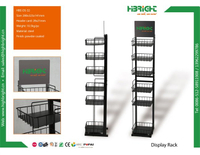 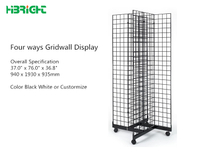 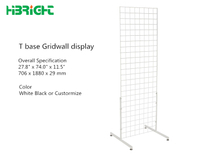 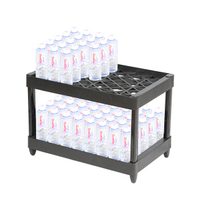 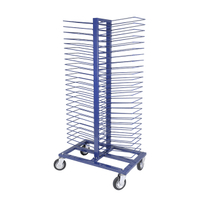 The high visibility freestanding slatwall allows customers full access to displayed merchandise. 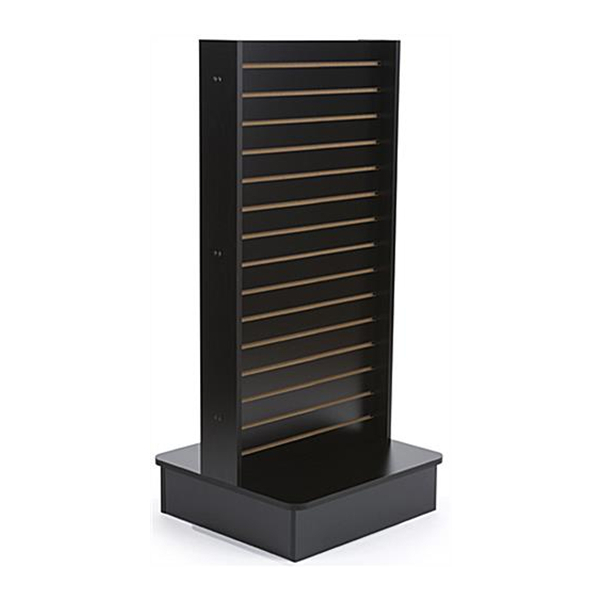 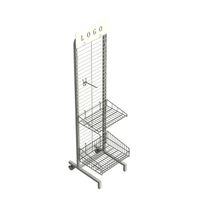 This 2-sided tombstone merchandiser display with 15 channels per side is a superior way to showcase merchandise and can be used with a full array of slat wall pegs, hooks, and brackets. 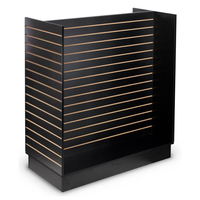 This wooden slat wall sturdy base, space saving design, and neutral black finish are a great choice for any store or commercial environment.